With a substantial 12 Ounce Capacity The Amici gotico collection double old fashioned tumbler is perfect for everyday use as well as for any party, social event or gathering. A square base puts a modern spin on a traditional glass making it look both fun and elegant, fitting into any place setting. The Italian made gotico tumbler fits perfectly in your hand while making your favorite beverage look fantastic! 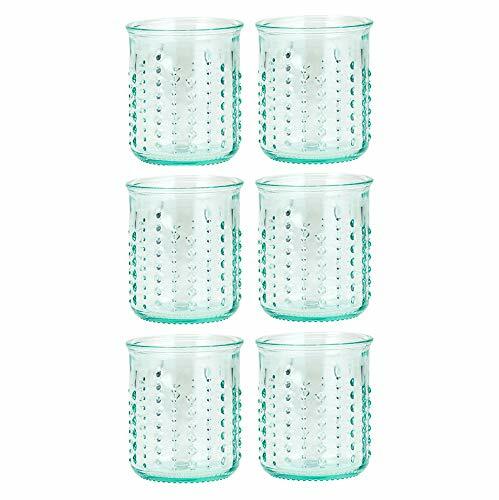 The glass measures 3.5"H x 3.5"D, is dishwasher safe and comes in a set of 6. This collection easily compliments any setting or mood. 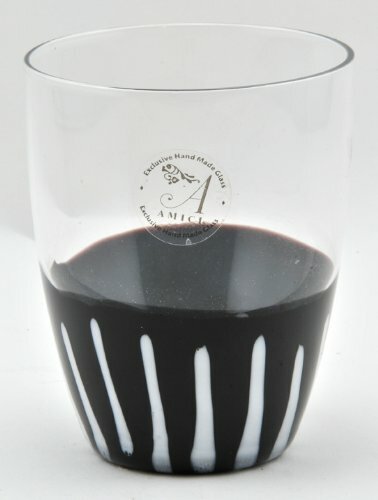 Also check out the Amici gotico collection hairball glass. 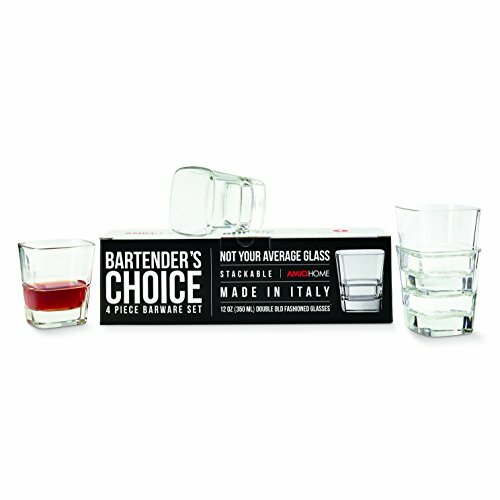 Amici Home bartender's choice palladio quadro double old fashioned glasses come in a set of 4 of these square shaped 12 oz. Glasses. Made in Italy, these glasses are produced using soda Lime glass and feature a small rib running horizontally around the base allowing these glasses to stack! the Color box content is clever, thought provoking and fascinating; incorporating a Collage of interesting "how to's", impressing facts, and quirky details about your favorite cocktail, making these a great gift item! Amici home’s Amethyst Cobblestone collection is handmade using recycled Green glass from Mexico. With a beautiful clear to Amethyst ombre, this drinkware collection features Amici home’s new “Cobblestone” Texture. A great choice for everyday use and casual entertaining. Available in Hiball, double old fashioned, goblet, martini and pitcher. Handmade. Unique. Recycled. 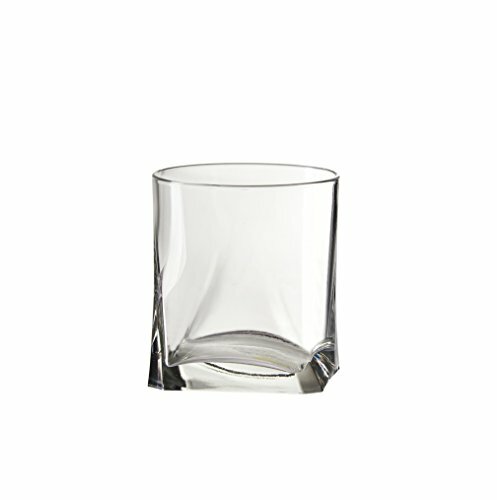 The Urchin double old fashioned glass by Amici Home is the perfect melding of flare and function. Made in Italy, this glass tumbler is made of 100% recycled, soda lime glass with a bright translucent green tint. This glass is surrounded by a raised hobnail Texture enveloping the whole glass, making it's grip secure in your hands. Each glass measures 3. 25" D x 3. 75" H (8. 3 cm d x 9. 5 cm H) with a Capacity of 12 fluid oz (354 ml). perfect for everyday use or for entertaining guests, this glass set is dishwasher safe and forms part of a well decorated home. about Amici home Global Amici was founded in 1982 in Southern California to design and distribute fine housewares products across the United States to all types of retail Businesses. In 2016, global Amici rebranded and is now called Amici Home. Amici Home puts an emphasis on providing great customer service, specializing in glass drinkware and storage. Amici Home has recently expanded their assortment by offering metal canisters, ceramic items, pantry staples, and pet products. 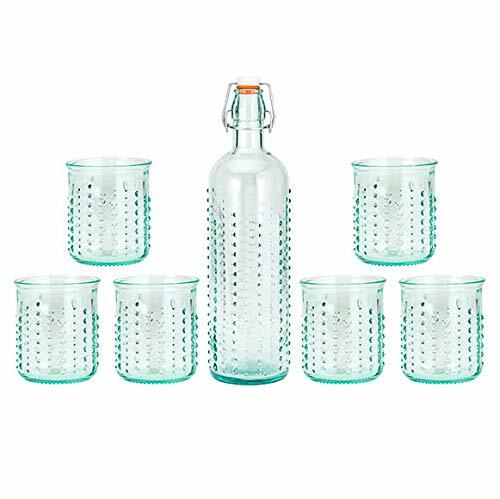 The frutta double old fashioned glass set by Amici Home is made of beautiful 100% recycled green glass. This glass features an embossed texture of fruits surrounding the entire glass, allowing a slight glow from the glass to accentuate the rounded features on the textured exterior. These glasses are made in Italy using recycled soda lime glass with a gorgeous green tint. Each glass measures 3. 25" D x 3. 75" H (8. 3 cm d x 9. 5 cm H) with a Capacity of 12 fluid oz (354 ml). perfect for everyday use, This set is dishwasher safe and forms part of a well decorated home. about Amici home Global Amici was founded in 1982 in Southern California to design and distribute fine housewares products across the United States to all types of retail Businesses. In 2016, global Amici rebranded and is now called Amici Home. Amici Home puts an emphasis on providing great customer service, specializing in glass drinkware and storage. Amici Home has recently expanded their assortment by offering metal canisters, ceramic items, pantry staples, and pet products. 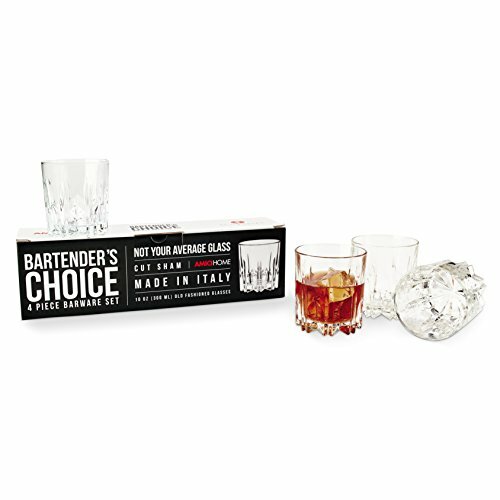 Amici Home's Bartender's Choice Camelot Double Old Fashioned Glasses come in a set of 4. Perfect for serving cocktails or everyday use, these 12 oz. 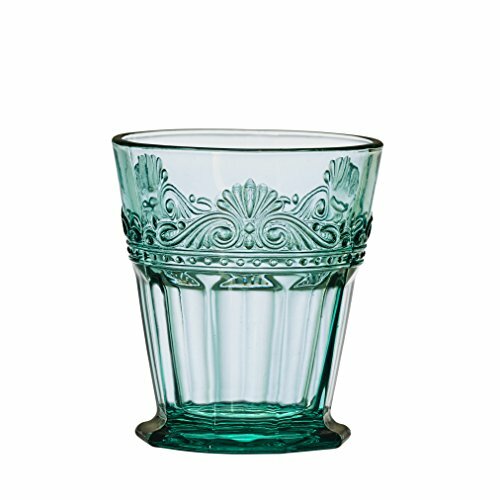 Italian glasses are made using soda lime glass. The color box content is clever, thought provoking and fascinating; incorporating a collage of interesting "How To's", impressing facts, and quirky details about your favorite cocktail, making these a great gift item! Elevate your whiskey game with Amici Home's Bartender's Choice Excalibur 10oz Old Fashioned Glasses. 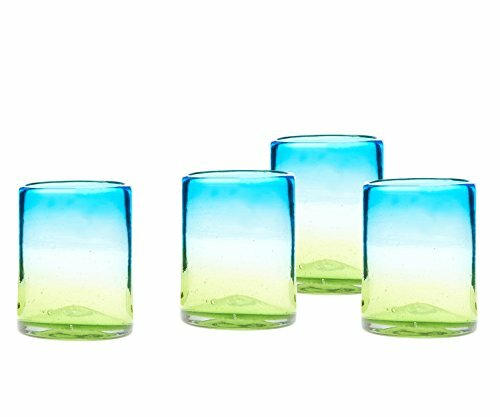 Made in Italy, this set of 4 is produced using 100% soda lime glass and features a beautifully cut sham. 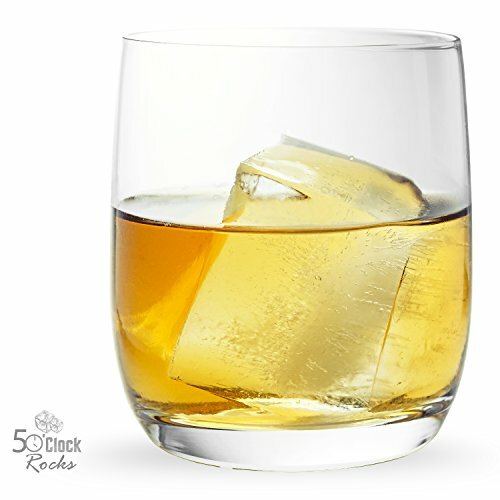 The color box content is clever, thought provoking and fascinating; incorporating a collage of interesting "How To's", impressing facts, and quirky details about your favorite cocktail, making these a great gift for your whiskey loving friends and family! Gorgeous and functional, the Amici Malibu Collection Double Old Fashioned Glasses are ideal for any dinner, party, or beverage. Handmade in Mexico, this glass is ecofriendly as it is composed of recycled green glass. Each glass in this set is dishwasher safe. Sold as a set of four, each old fashioned glass measures 3.5"L x 4"H x 3.5"W and has a 12 ounce capacity. 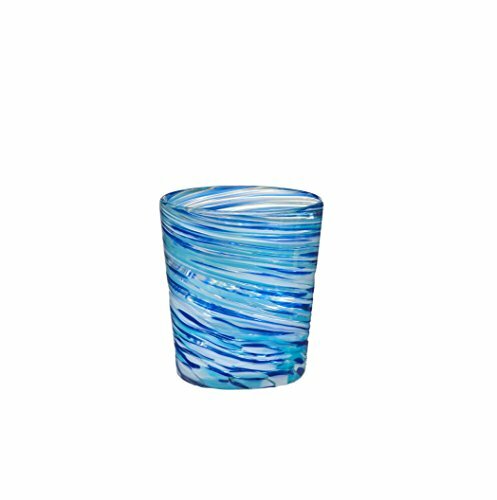 Amici's Malibu Collection combines an opaque shade of cobalt, aqua, and white in a swirl pattern in each piece in the set, including the HI ball Glass, Goblet Glass, Margarita Glass, and Pitcher. 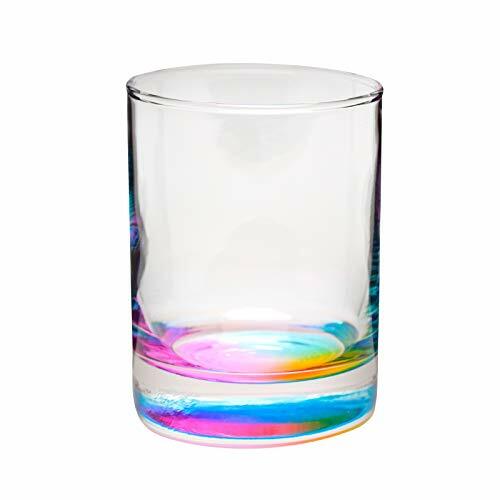 The Mirage Rainbow double old fashioned glass tumbler by Amici Home is part functional glass and part visual spectacle. This glass features layered transparent colors to form a gorgeous luster finish that showcases all the colors of the rainbow. The colors rise up from the base of the glass and make a fun prism reflection in any clear liquid you choose to drink from it. This glass will be a fun conversation starter at a party and it works well as a glam accent piece in neutral toned decor or as a part of a larger rainbow chic collection. This set includes 6 glasses, and also comes in a highball glass. Global Amici's green glasses are made of recycled glass bottles. 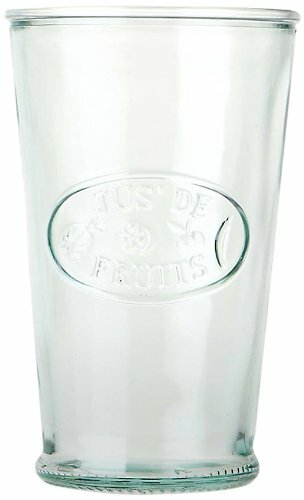 Each one features a raised jus de fruits design which means fruit juice in French. 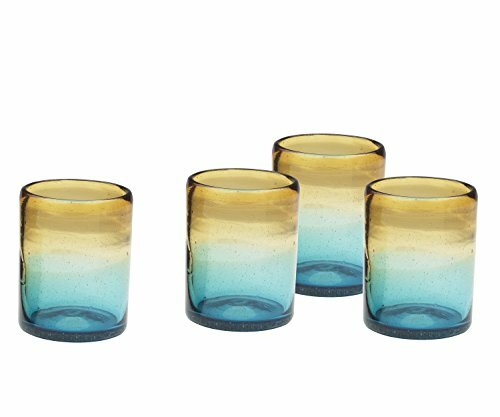 These glasses are perfect for serving juice, water or iced tea. Made in Italy. With a substantial 10 ounce capacity, the amici Ibiza collection double old fashioned tumbler is perfect for everyday use as well as for any social event or gathering. 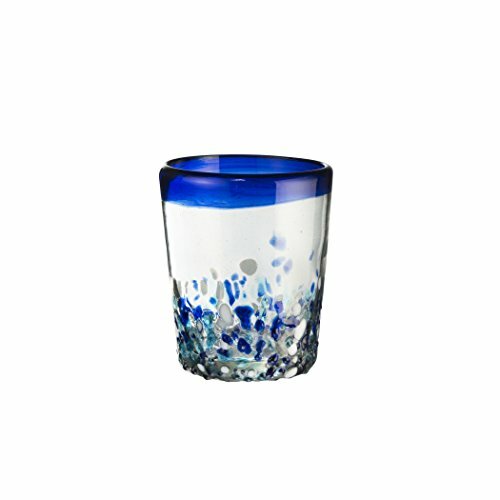 With aqua, cobalt and white hues and topped with a cobalt blue rim this glass reveals a happy, fun feel to any atmosphere. The glass measures 4"h x 3.5"d, Is dishwasher safe and comes in a set of 4. This vibrant Ibiza collection will set any party or place setting on fire as each piece is made of recycled glass and carefully constructed in Mexico. 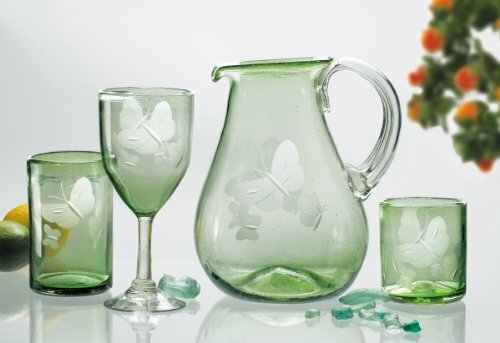 Check out this entire collection which also includes a Hiball glass, goblet, margarita glass and a pitcher. With a substantial 14 Ounce Capacity The Amici gotico collection hairball glass is perfect for everyday use as well as for any party, social event or gathering. A square base puts a modern spin on a traditional glass making it look both fun and elegant, fitting into any place setting. The Italian made gotico hairball glass fits perfectly in your hand while making your favorite beverage look fantastic! 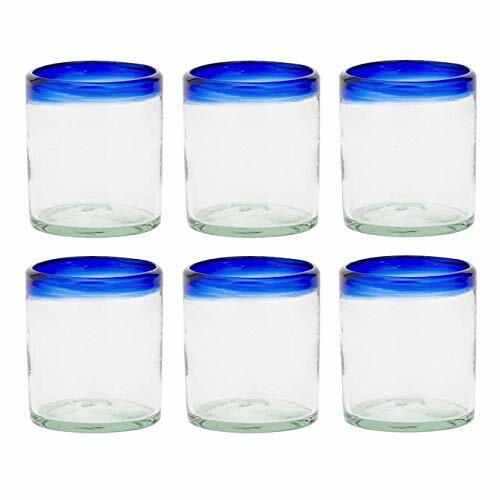 The glass measures 6.5"H x 3"D, is dishwasher safe and comes in a set of 6. This collection easily compliments any setting or mood. 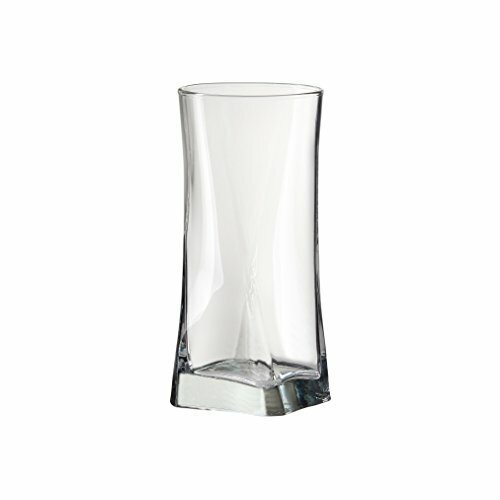 Also check out the other piece in this collection, the Amici gotico collection double old fashioned glass. 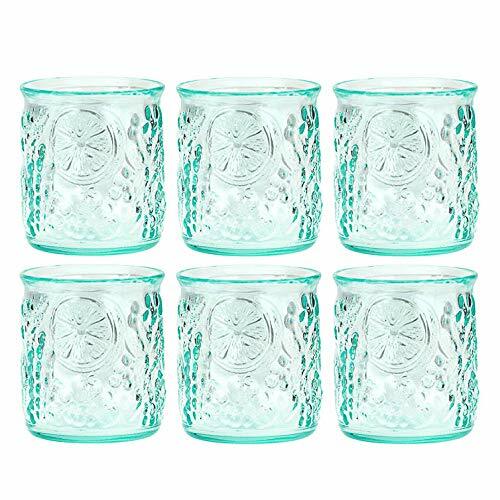 The Amici Rococo Teal Collection Double Old Fashioned Glasses bring sophistication and style to your table. Each glass is pressed with a decorative rim and faceted base making this ornate collection a great option for casual and fine dining. 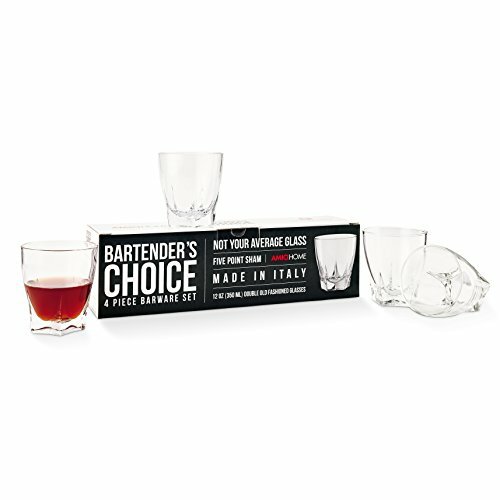 These double old fashioned glasses in this set are dishwasher safe. Sold as a set of four, each old fashioned glass measures 3.5"L x 4"H x 3.5"W and has a 8 ounce capacity. Amici's Rococo Drink ware collection includes two color schemes (lilac and clear) in two styles, including HI ball Glasses. 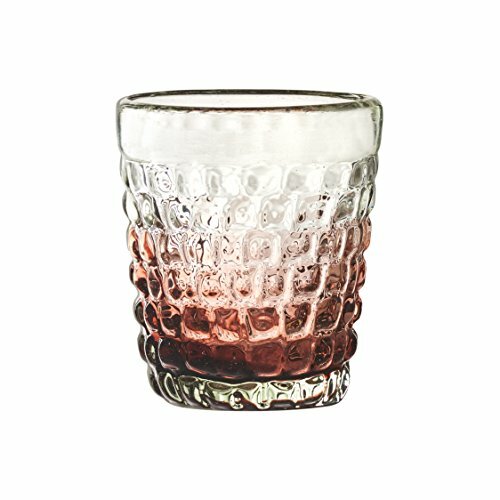 Compare prices on Global Amici Old Fashioned Glass at LiveSaler.com – use promo codes and coupons for best offers and deals. We work hard to get you amazing deals and collect all avail hot offers online and represent it in one place for the customers. Now our visitors can leverage benefits of big brands and heavy discounts available for that day and for famous brands. We try to makes comparison shopping easy with Product Reviews, Merchant Ratings, Deal Alerts & Coupons. Find Deals, Compare Prices, Read Reviews & Save Money.